Furnace Maintenance & Repair | HVAC Services by Advanced Climate Control L.L.C. Advanced Climate Control LLC provides both residential and commercial furnace repair and installation. Our trained and experienced technicians will fix any problems with your existing gas or electric furnace, or we can replace your outdated furnace with a new heating system. If you are not sure what solution is right for you, call us today to schedule a free consultation. ACC is your one-stop shop for all your heating and furnace needs. If you need heating and air service in the Greenville SC area, contact us today. Is your furnace broken or not working properly? Call Advanced Climate Control today. We will provide you with a free in-home consultation to diagnose the issue and implement the correct solution. During cold winters, a broken furnace can make your home uncomfortably and even dangerously cold. It is crucial to get the heat back on as soon as possible, for both your comfort and your health. At ACC, we pride ourselves on our fast service and competent workmanship. An outdated furnace is not ideal for heating your home effectively and efficiently. Older systems are also less energy-efficient, meaning they are worse for the environment and your bank account. For a new and improved heating system, look no further than Advanced Climate Control. We will provide you with a professional consultation to find the right unit for your home or business, and our experts will install the system quickly and effectively. 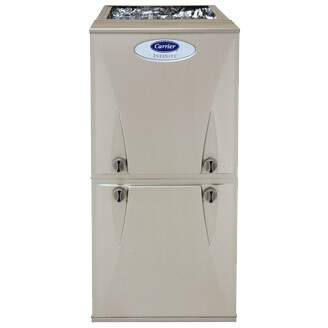 Advanced Climate Control is a proud installer of Carrier brand furnaces and heating systems. Carrier is a quality brand that has been trusted by HVAC professionals for decades. Carrier’s models have high energy-efficiency and long-term warranties. We will help you to choose a model that fits the needs of your home or business. Our specialists will install your new Carrier furnace and ensure that it is working perfectly before leaving the property. We also offer yearly maintenance plans for a great value, to keep your furnace operating at peak performance. To learn more about our Carrier heating and air conditioning systems, give us a call today. Advanced Climate Control LLC has been providing the Upstate with quality heating and cooling service since 2005. We care about our community and love to help Upstate homeowners and business owners with their climate control needs. For furnace repair, replacement or installation in the Greenville area, give us a call today!